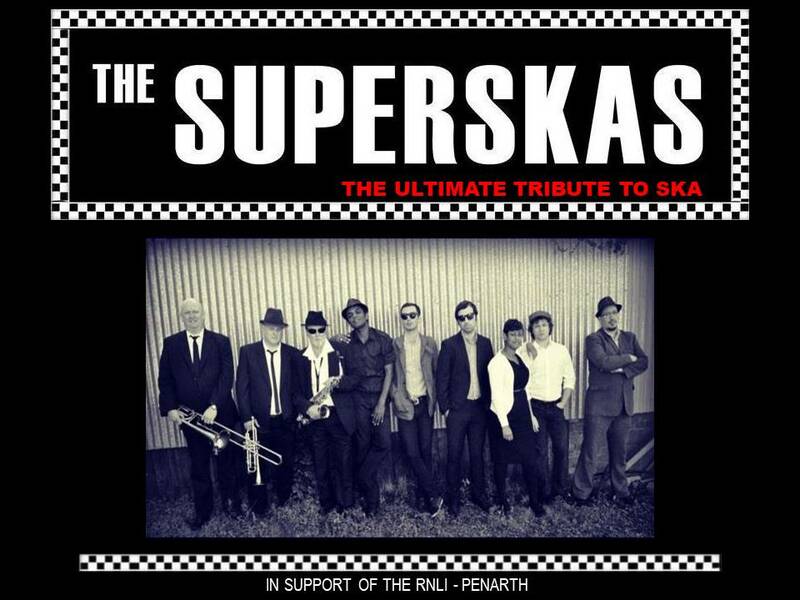 The "Ultimate Tribute to Ska" performed by an authentic eight-piece Ska band, the Superskas perform a catalogue of hits from the golden ages of Trojan Ska & 2 Tone. Covering songs from original pioneers Toots & the Maytals and Desmond Dekker, through to The Specials, Madness and The Selecter. The Superskas come complete with horn section and male and female vocalists and are guaranteed to get the party started! ...and all in support of the RNLI Lifeboat Station Penarth.